Welcome to the Queen’s Hall Arts Centre, Hexham. Opening hours are 10.00am - 5.00pm Monday to Friday and 10.00am - 4.00pm Saturday plus one hour prior to a performance. (not including Bank Holidays and Public Holidays - please check before travelling on these days). Enjoy dinner before a show with our Season Sponsor, The Beaumont Hotel. 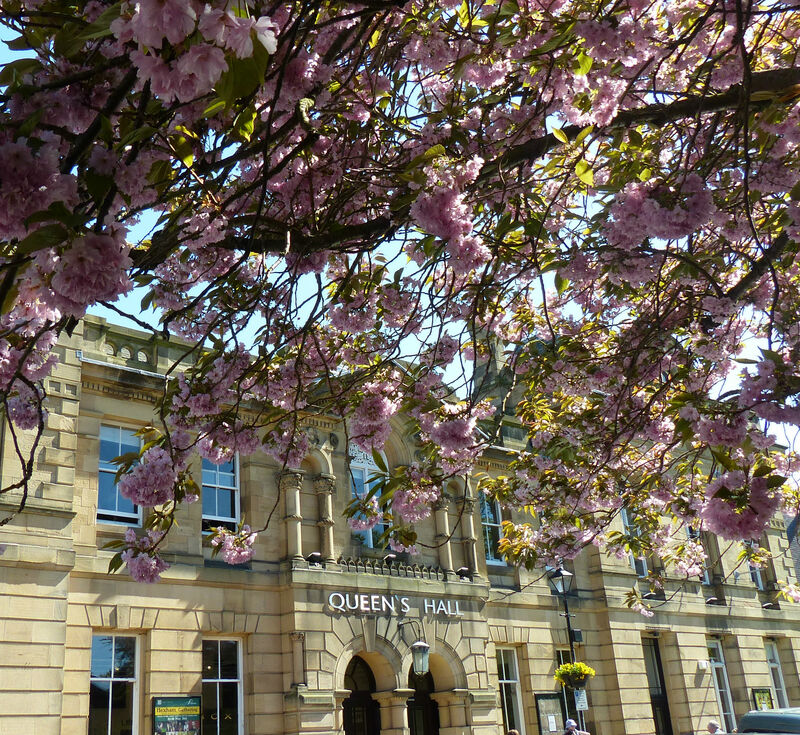 Queen's Hall Arts (QHA) is the charitable company that manages the venue, Queen's Hall Arts Centre, Hexham and provides an art service to a large part of rural Northumberland. The Queen's Hall is a magnificent early Victorian building which faces Hexham Abbey (dating from 674AD). From its christening as an arts centre in 1983 until the hand over to the charitable organisation, Queens Hall Arts in 2001, the building was under local authority control.